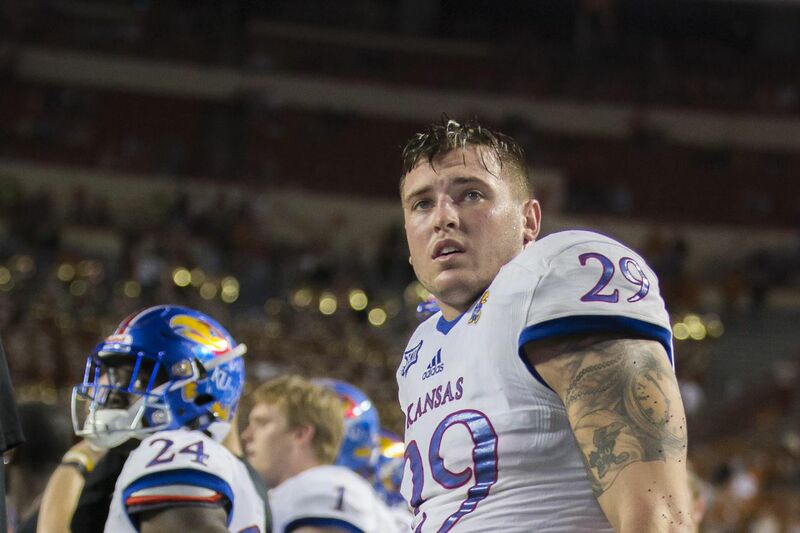 Benton Smith reports that Joe Dineen considered leaving KU following the 2017 season. Comments from Beaty on Monday indicate that he’s aware of his situation and that there’s an “urgency” to produce wins. Coaches will be looking to put highly-regarded recruit Pooka Williams on the field early and often – but not too often. Taylor Martin’s departure from the football team wasn’t disciplinary; he left to take care of some family matters. Kansas softball has added two pretty highly regarded transfers to its incoming recruiting class. I unabashedly love the MLB All-Star Game, which was won by the AL last night, 8-6. After not playing football in 2015 and 2016 due to some questionable budgetary decisions by the Alabama Board of Trustees, UAB is getting a new football stadium. Oklahoma’s band played “Boomer Sooner” 1,104 times last year. I’m not kidding. Svi Mykhailiuk dropped 31 points on 12-20 shooting to lead his team to the NBA Summer League championship game. Aaron Rodgers wants the Packers to consider “unorthodox” contract options. The Home Run Derby truthers are out there, but no, Bryce Harper did not cheat.